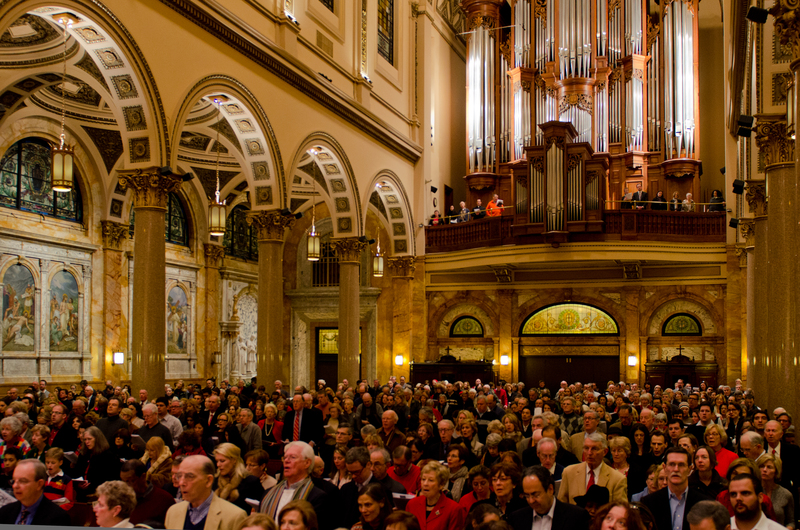 The magnificent pipe organ at the Church of St. Ignatius Loyola--at 5,000 pipes, 30 tons, 45 feet high, with 55,000 parts, four keyboards, 5,000 pipes and 68 different stops—is the largest tracker-action pipe organ in the New York metropolitan area. At a cost of $1.25 million in 1992, its creation by the English organ builder N.P. Mander involved a year of planning and construction in England, and a five-month on-site installation at St. Ignatius Loyola. The N.P. Mander Organ debuted to an audience of 1,800 with a recital by organist David Higgs on April 27, 1993. All N.P. Mander Organ Recitals feature large-screen projection so that the audience may see the organist at work. Kent Tritle is one of America’s leading choral conductors. Called “the brightest star in New York's choral music world” by The New York Times, he is Director of Cathedral Music and Organist at the Cathedral of St. John the Divine in New York City; Music Director of Musica Sacra, the longest continuously performing professional chorus in New York; and Music Director of the Oratorio Society of New York, the acclaimed 200-voice volunteer chorus. In addition, Kent is Director of Choral Activities and Chair of the Organ Department at the Manhattan School of Music and is a member of the graduate faculty of The Juilliard School. An acclaimed organ virtuoso, Kent Tritle is the organist of the New York Philharmonic and the American Symphony Orchestra. In recent years, Kent has been recognized with honors from Career Bridges (2017 Distinguished Achievement Award), Clarion Music Society (2016 gala honoree), and the Manhattan School of Music (2016 President’s Medal for Distinguished Service). 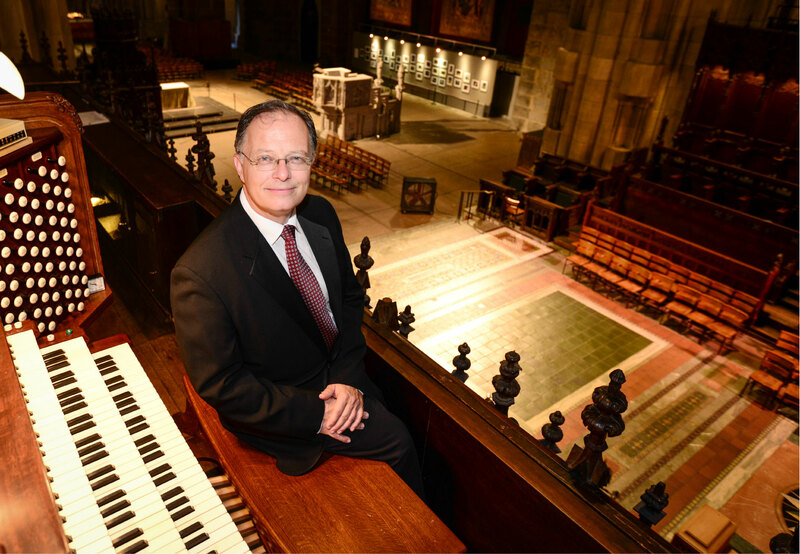 As an organ recitalist, Kent Tritle performs regularly in Europe and across the United States; recital venues have included the Leipzig Gewandhaus, the Zurich Tonhalle, the Church of St. Sulpice in Paris, Dresden’s Hofkirche, King’s College at Cambridge, Westminster Abbey, and St. Vitus Cathedral in Prague. With the Philharmonic he has performed Saint-Saëns’s Organ Symphony conducted by Lorin Maazel and Andrew Davis, and recorded Brahms’s Ein Deutsches Requiem, Britten’s War Requiem and Henze’s Symphony No. 9, all conducted by Kurt Masur, as well as the Grammy-nominated Sweeney Todd conducted by Andrew Litton. He is featured on the DVDs The Organistas and Creating the Stradivarius of Organs. In 2015 he became Chair of the Organ Department of the Manhattan School of Music. Kent Tritle holds graduate and undergraduate degrees from The Juilliard School in organ performance and choral conducting. He has been featured on ABC World News Tonight, National Public Radio, and Minnesota Public Radio, as well as in The New York Times and The Wall Street Journal. For more information, sound clips, and updated concert information, visit www.kenttritle.com. DOORS OPEN at 2:30 PM for a 3 PM concert start time. WILL CALL is available when the doors open at 2:30 PM inside the main doors of the church.